Here is a (somewhat) crazy idea. I just purchased a 2018 EX. We didn't get the EX-L because we really didn't want a sun roof and leather was not a big plus. The one thing that we would have really liked on the EX-L is the USB charging in the back seat, but that was not worth the extra $. The kids would really like it for iPads, phones, etc. on long trips. 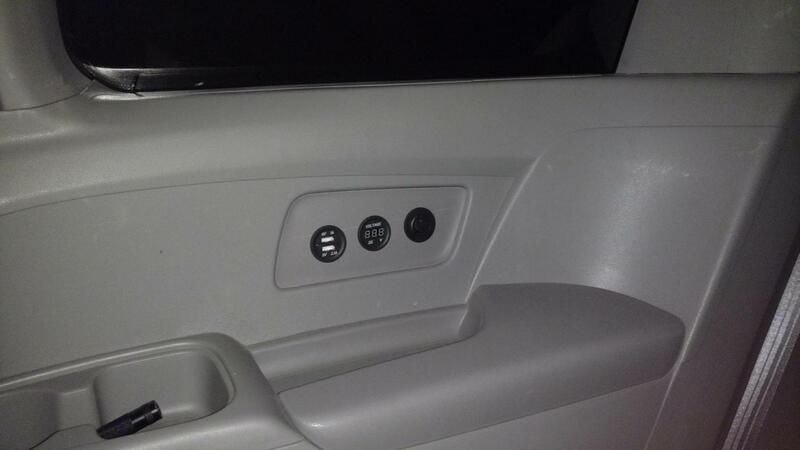 I am thinking about installing some USB charging ports in the back of the van. The crazy part is, when I look at the wiring diagram, it looks like the wiring is (mostly) there for the factory EX-L ports. It seems the only thing that is needed is a little extension that plugs into the existing wiring in the console. So, for basically $150 in parts you could have "factory" USB ports in the back. My question is, would it be better to go with aftermarket USB ports (cheaper, lower quality?, clearly add-on) or to try to use actual Honda parts? Has anyone done anything like this? Any advice on taking apart the console? Isn't there still a power port in the back? If so, could add an adapter there for pennies? There is a power port back in the luggage area and I was planning on using that for an adapter for the rear seat. That still leaves out the middle row. You could run an adapter from the power port on the dashboard, but now you are talking about a lot of extra wires cluttering up the interior. 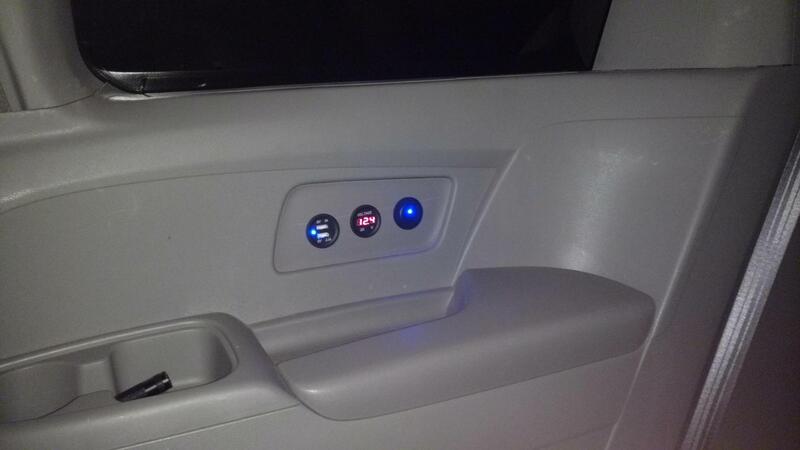 It is certainly something you could work around, but having USB charging on the second row would be worth it for us. Well, I went ahead and added two additional USB charging ports for the second row. I used mostly OEM parts so it looks stock, but I ended up wiring it back to the front fuse box instead of using standard wiring harness. The EX has a charging port in the console next to the USB data port. If I wanted to use completely stock wiring I would have lost that USB port. I guess the EX-L doesn't have a charging port inside the console (other than the data port). I did end up ordering an extra full front console wiring harness so I could get the goofy little connector to the USB module. Seems like a waste, but it was only about $20. The whole project was about $150. Super sad I didn't see this post sooner. Here is a Pic of my usb add that cost about $30, works with the vehicle turned off and even has a volt meter. Tapped Into the rear power outlet. I added this same USB port in the front of the vehicle where the 12v power outlet is. That looks nice. I thought about doing something like that but I couldn't bring myself to drill holes in a brand new car. Did you need to take the side panel off the back or did you fish the wire? I ran into trouble removing the side hooks that hold the trim piece below the hatch and the side panels when I was installing the wiring for a trailer. I didn't try that hard because I found a method that I like better and I was afraid I would mangle the hooks removing them.